The key reminder warning buzzer sounds when the driver side door is opened while the ignition switch is in LOCK or ACC. 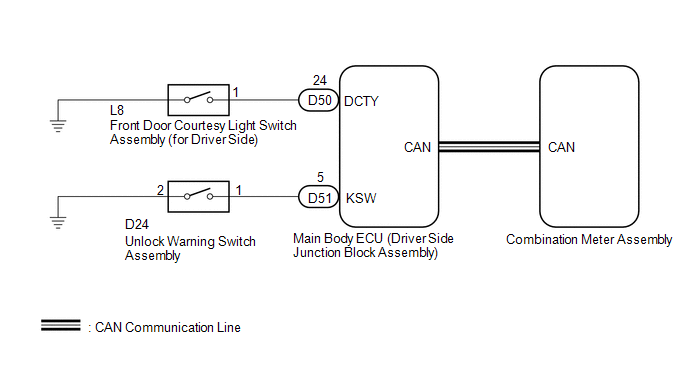 The key reminder warning buzzer is activated when the main body ECU (driver side junction block assembly) sends an unlock warning switch signal and driver side door courtesy light switch signal to the combination meter assembly via CAN communication. (a) Turn the ignition switch to ON. Place luggage on the passenger seat to cause the passenger seat belt warning light to blink. (b) When driving the vehicle at 20 km/h (12 mph) or higher, check that the seat belt warning buzzer sounds to inform that the passenger seat belt is not fastened. The key reminder warning system sounds the buzzer built into the combination meter as a key reminder warning. This buzzer is also used for the seat belt warning system. 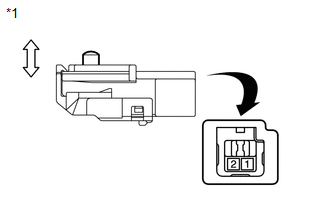 Therefore, check the operation of the combination meter buzzer by checking if the buzzer sounds to inform that the seat belt is not fastened. (e) Select D Door Courtesy SW in the Data List and read the Techstream display. ON or OFF appears on the screen according to the driver side door condition. (e) Select Key Unlock Warning SW in the Data List and read the Techstream display. 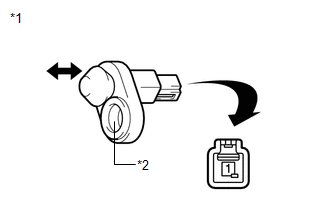 ON or OFF appears on the screen according to whether the key is in the ignition key cylinder. (a) Disconnect the D50 driver side junction block connector. (a) Disconnect the D51 driver side junction block connector.